Theresa May Survives a Second No Confidence Vote. Here's What She Must Do Now. Prime Minister Theresa May survived a second vote of no confidence in Parliament Wednesday. The ayes were 306, the noes were 325. Labour leader Jeremy Corbyn called the no confidence vote after sounding off on May's "catastrophic defeat" on her Brexit deal Tuesday. In a way it was. Her defeat, 432 to 202, was the worst endured by a sitting government in British history. Corbyn accused the PM of leading a "zombie government" and wants a new general election. But May's win keeps her and the Conservatives in power. She may have passed the test Wednesday, but the PM has her work cut out for her. She has until Monday to present Parliament with a new Brexit deal. She spoke after the vote, assuring Parliament that her party would continue its work to increase our prosperity, strengthen our security and to strengthen our union. They will also work to deliver their "solemn promise" they made to Brits, who voted to leave the European Union in the first referendum in 2016. She invited lawmakers to start meeting with her to find a solution. 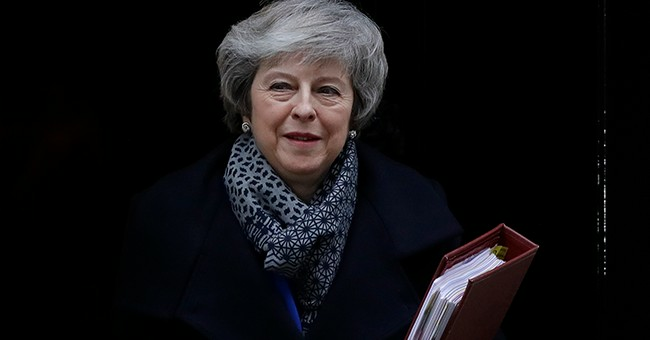 There's "zero chance" of May renegotiating her present deal with Brussels, said Nile Gardiner, former aide to Prime Minister Margaret Thatcher. He said the PM should move forward with a "no deal" Brexit. A "no deal" Brexit would pull Britain away from EU trade guidelines and instead place the country under the World Trade Organization. The no deal route is "the only way of guaranteeing British sovereignty," Gardiner said. The UK is set to leave the EU on March 29. As the BBC has noted, Parliament has only 46 more working days until that date. Sekulow: "If they had an obstruction case, they would have made it"